Another big political meeting, another crackdown on Virtual Private Networks (VPNs) — the location-shifting software many in China use to access websites banned by its government, such as Facebook, YouTube and Google. This fall, China’s ruling Communist Party (CCP) will have its 19th Congress — when the nation’s leadership is reshuffled and its ideological direction honed — which is why experts believe the government is once again targeting VPNs. 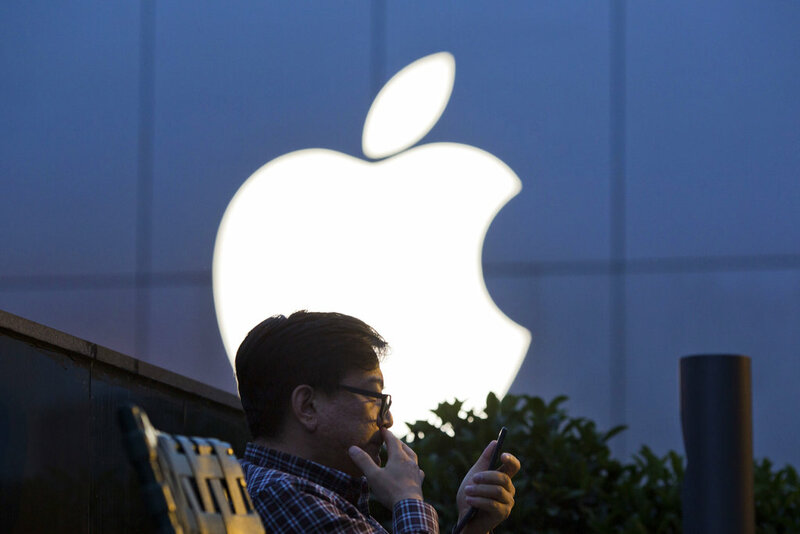 On Saturday, Apple removed popular VPNs from its China App Store in line with a new government crackdown announced in January that would see them completely banned by early next year. Crackdowns on accessing the Internet beyond the Great Firewall — the world’s most sophisticated state-censorship apparatus, employing at least 2 million online censors — are a perennial irritation in China, and highlight how the world’s second largest economy is struggling to balance authoritarianism with its mercantile aspirations. Foreign news websites such as the New York Times, Bloomberg and, indeed, TIME are deemed verboten, as are uncensored social media networks such as Facebook, Instagram and Twitter. VPNs provide access to this contraband by pretending the user is situated outside the country, and in China are particularly used by foreign nationals including those visiting on business, academics and students trying to access research material not properly indexed by Chinese search engines, and a proportion of Chinese unsatisfied with the sanitized news provided by the nation’s state media. Unregistered VPNs are officially forbidden, though almost a third of the China’s 650 million Internet users are estimated to have them. In addition, companies can have legitimate VPNs registered with the Chinese authorities in order to have secure communications between regional offices. “ExpressVPN strongly condemns these measures, which threaten free speech and civil liberties,” it added. The latest crackdown is an escalation of an enduring pattern. Before big party meetings — such as the “Two Sessions” legislative sessions each spring — VPNs typically grind to a halt as the CCP attempts to restrict access to proscribed material. Afterward, control is typically relaxed, as VPNs serve as a pressure valve that allow a determined, normally well-educated, minority to access information they largely know is out there anyway. What the Chinese government is more worried about is potential social unrest caused by ordinary Chinese accessing dissident criticism in the local language, such as the teachings of the banned spiritual Falun Gong movement. “Chinese authorities are most concerned about ‘the masses,’ but leaving a pressure valve for white-collar [workers and] academia is not so injurious and, one could argue, beneficial to ensure those people don’t feel overly frustrated,” adds Natkin. As such, there is every reason to suspect that this latest VPN crackdown is once again temporary. However, the ban is only one of a slew of new measures leading up to the 19th Party Congress that have made tech experts jittery. Other than Apple, VPNs are increasingly scarce on the rival app stores of Chinese-made Android-based phones — brands like Huawei, Xiaomi and Oppo — whose global market share is mushrooming. In addition, a strict new cybersecurity law came into effect in June, and earlier this month China Telecom, the nation’s biggest Internet service provider, sent a letter to corporate clients seen by the AP that said in future VPNs would only be allowed to connect to a company’s headquarters abroad. Around the same time, China initiated a partial block of the messaging app WhatsApp, which is owned by the banned Facebook, and several Chinese VPNs were forced to shut down. In addition, five-star hotels — whose affluent, overwhelmingly foreign guests were once granted carte blanche to access banned foreign sites from their premises — are now shutting that loophole in response to government pressure. But shutting off all access to prohibited foreign websites would have a tremendous chilling effect on China’s credentials as an international business hub. Already, business executives arriving for meetings in China must deal with the shocking reality that they cannot access Gmail — the world’s most popular email service — by virtue that it is run by the banned Google. Today, those execs might be able get access by downloading a VPN, retreating to their opulent hotel or using their Beijing office’s computer network. But were the newly threatened rules fully implemented, those options would all be cut off. Aside from the practical limitations, the oppressive and frustrating atmosphere would be hugely damaging at a time when China’s economy is already slowing.